Senator David Mark has again counseled party faithful to allow the will of the people prevail in the forthcoming election of principal officers of the party otherwise known as the National Working Committee ( NWC) at the December 9, 2017 national convention. Senator Mark stressed that only the election of people with proven records of performance, competence and integrity would launch the party back to reckoning. Playing host to political leaders from Kabba and Bunu local government areas of the state seeking the endorsement of his former Special Adviser on Media and Publicity, Mr. Kola Ologbondiyan for the position of PDP National a Publicity Secretary ( NPS), Senator Mark affirmed that "Kola is competent and eminently qualified for the position". "Kola is my product. I have no hesitation in recommending him for the position of National Publicity Secretary of our party. I am convinced that he would do a good job". He called on party faithful to consider the pedigree of all contestants in order to be able to elect the best amongst the lots. Senator Mark was optimistic that if party faithful get it right at the forthcoming convention , it would earn the support of all Nigerians. 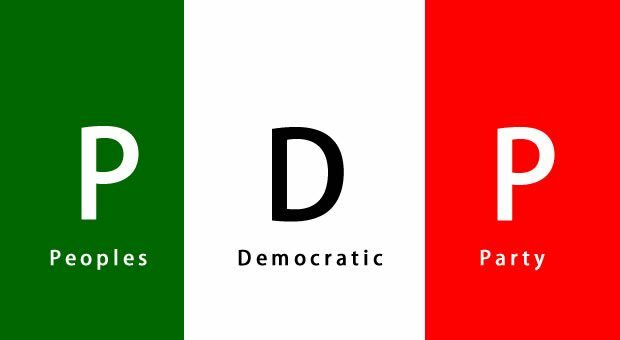 Leader of the delegation Dr. Stephen Olorunfemi said they were in Abuja to seek the endorsement of the former Senate President and other leaders for Kola's bid for the office of the PDP NPS. He described Kola as a worthy son of Kogi state who will do the party proud if elected. In his remarks, Kola stated that his training and practice as a Journalist, Editor and media manager to the former President of the Senate for eight uninterrupted years would put him in a better stead to manage the image of the party . According to Kola " I have the experience. I have media reach and the network. I believe I will be an asset to the party . I know what service means for our party at this critical time". Among the delegation were Senator Tunde Ogbeha CON and House of Representatives Member Tijani Yusuf .